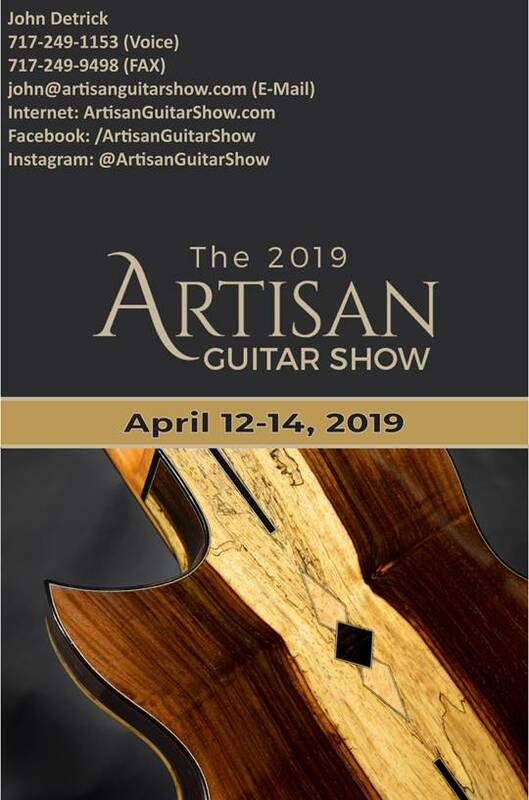 Ken will be in Harrisburg, PA for the Artisan Guitar show. You’ll find him at Table 59. From Ken’s Lecture on Nov 27 2108, the full video! 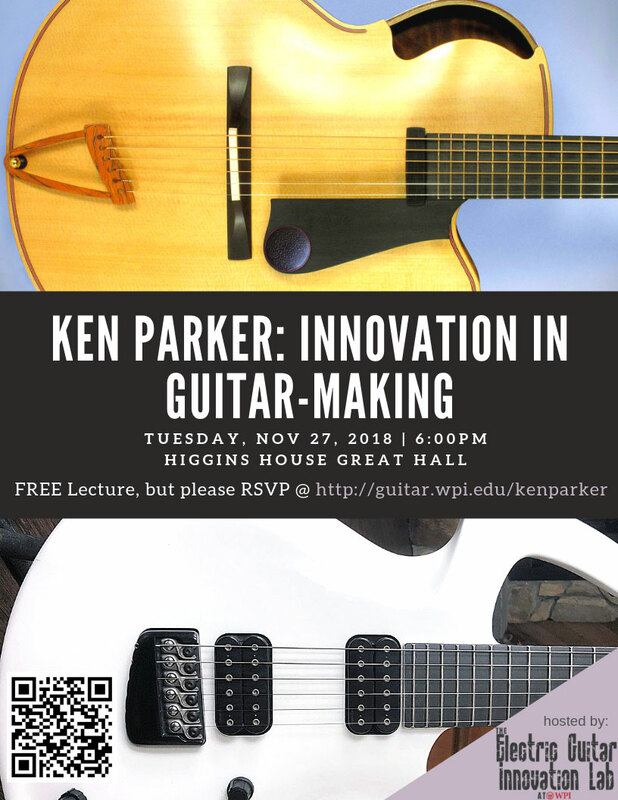 Master luthier Ken Parker (Ken Parker Archtops , formerly Parker Guitars ) will be giving a lecture and demonstration at WPI on November 27th, 2018 at 6pm in the Higgins House Great Hall. This event was organized by the Electric Guitar Guitar Innovation Lab and was sponsored in part by Frank Hoy (WPI, Business) and a grant from the Coleman Foundation, Kris Boudreau (WPI, HUA) and the WPI Humanities and Arts Department, the music division of WPI, and the WPI Media Arts Group Innovation Center (MAGIC). Michael Chapdelaine and Larry Cambpell stopped by Ken’s table to check out his archtops. Here is a video of each of them playing one for the first time…. 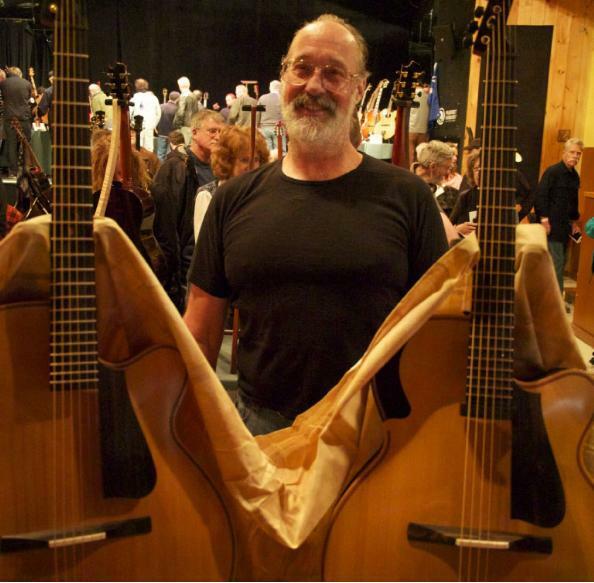 Every year, we attend the Woodstock Luthiers' Invitational in October. This year is no exception. We'll be there October 26, 27, & 28, 2018 at the Bearsville Theater / Utopia Soundstage , Woodstock, NY. We hope you can stop by and see what we've been working on. The festival took place from Thursday, July 5 through Saturday, July 7 and featured performances by Andy Summers, Ralph Gibson, G.E. Smith, Richard Thompson, Teddy Thompson, David Broza, Badi Assad, and Brandon Ross; documentary films curated by director Mary Jane Marcasiano; a talk by Ken Parker (on July 7th), and book signing with Galadrielle Allman. April 7-9, 2018, at the Central Hotel and Conference Center in Harrisburg, PA. Ken spoke on the importance of embracing innovation in the design and construction of artisan guitars. 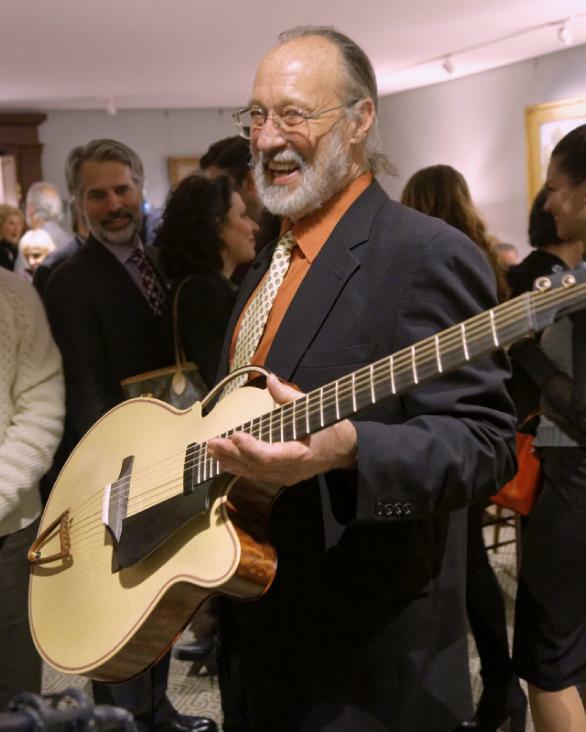 On January 29, 2016, Ken delivered Merlin, a brand new archtop, to the Metropolitan Museum of Art in NYC at a lovely reception. 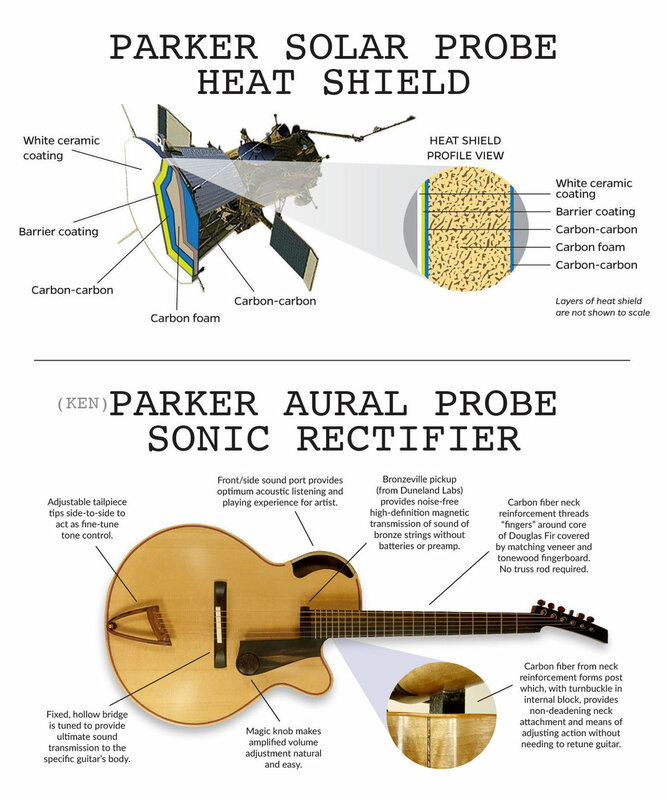 The Met had commissioned the guitar last year for its permanent collection. 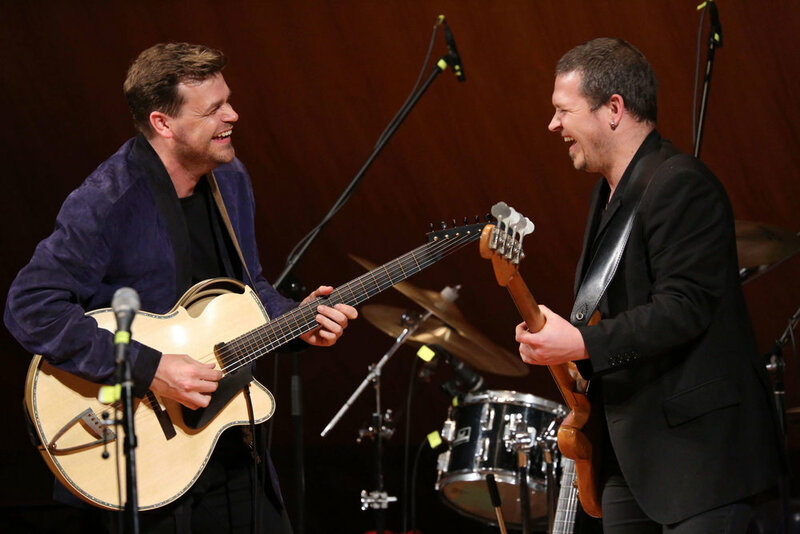 Doug Wamble wrote a special piece called The Ken Parker Suite for three guitars, played by Doug, Brandon Ross, and Matt Munisteri, which was debuted at the event and then recorded the following day.